TORONTO – Bullied in the midfield, then bent and broken at the back. 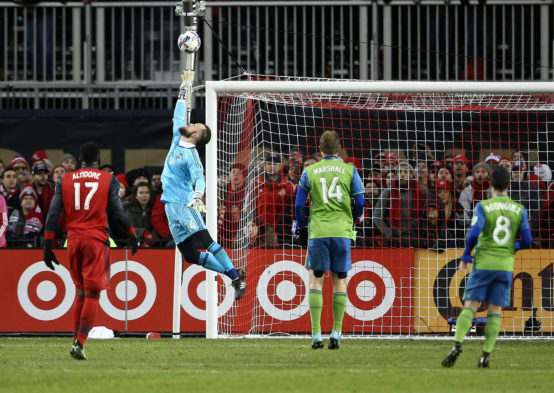 In their second consecutive MLS Cup final against Toronto FC, the Sounders were stopped cold. 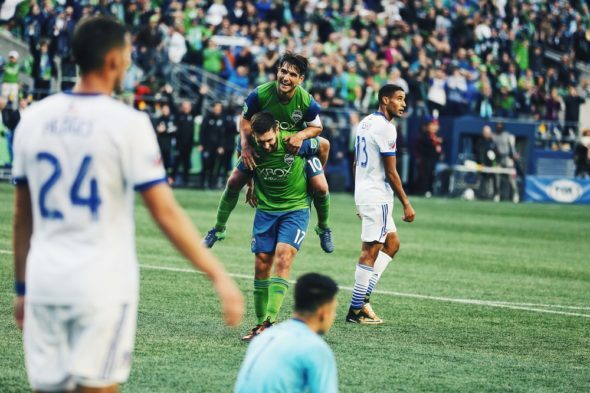 After not conceding a goal in a playoff-record 706 minutes, Seattle gave way in the second half, and dreams of repeating slipped away in a 2-0 loss at BMO Field. TORONTO – Ahead of the Sounders' final practice of the year Friday, something needed to be done to ease the stress of defending their MLS championship in the the same place it was won, at BMO Field. 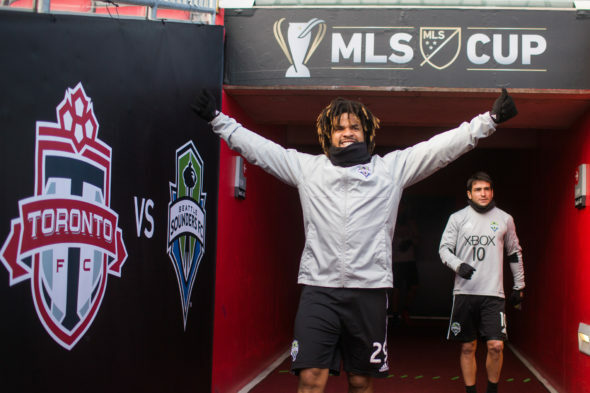 So Roman Torres, to the delight of all, decided to re-enact his championship-winning penalty kick that brought Seattle its first title. For the second year in a row, the Seattle Sounders are bound for the MLS Cup finals in Toronto. 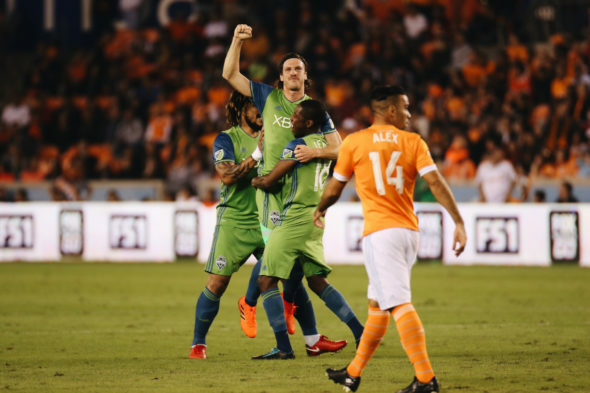 An early goal in the second leg of the Western Conference finals Thursday put things in cruise control, and Seattle finished off the depleted Houston Dynamo, 3-0, and 5-0 on aggregate. Mike Leach sounded as if he worried what a team of middle-schoolers would do to his Washington State Cougars if they failed to focus. But it was the Washington Huskies who tore them to shreds Saturday night. 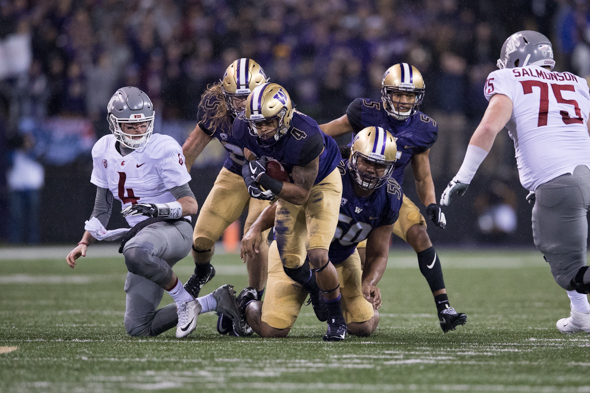 QB Luke Falk was the MMP: Most Mauled Player, throwing three picks, coughing up a fumble and getting sacked five times for a loss of 38 yards in a 41-14 demolition in front of a capacity crowd of 71,265 at Husky Stadium. 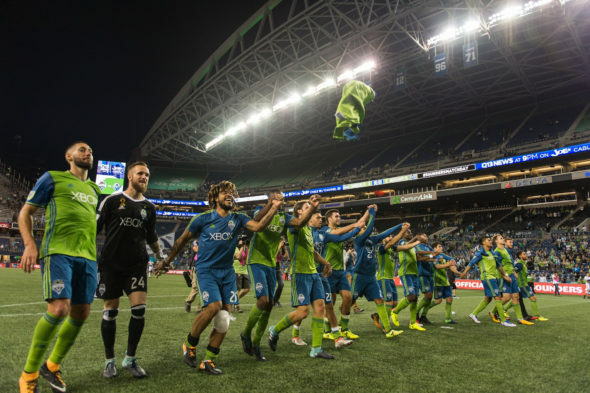 Entering the first leg of the MLS Western Conference finals Tuesday, the Sounders had never won a match against the Dynamo in Houston. 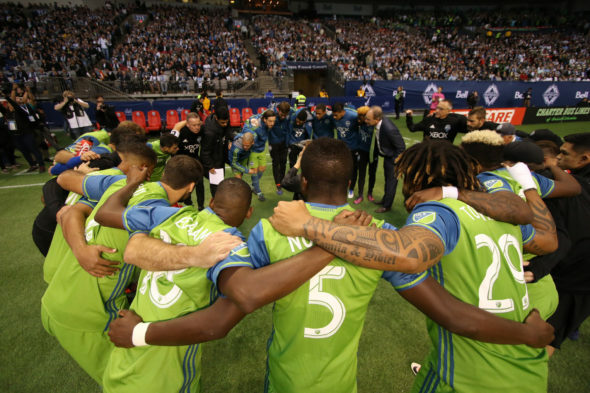 Thanks to an early goal and a crucial penalty kick decision, the Sounders filled in that blank in their history, and took a large step toward returning to the MLS Cup finals with a 2-0 victory in front of a record sellout crowd (22,667) at BBVA Compass Stadium. 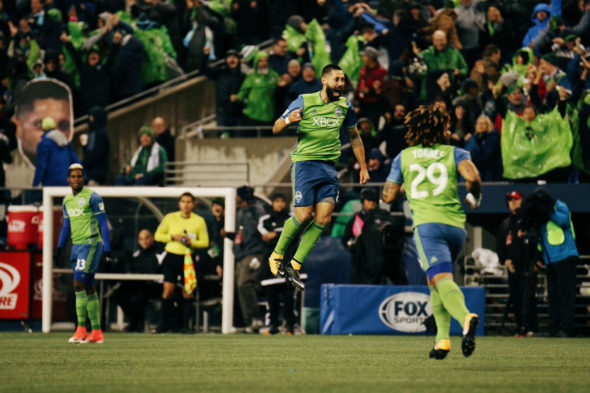 Clint Dempsey had not scored a goal in the playoffs for the Seattle Sounders since 2015, but only because he hadn’t had the opportunity. 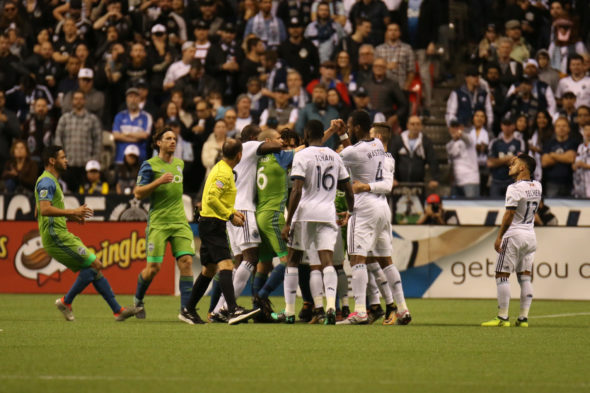 After missing all of the 2016 playoffs due to a heart condition, and the first game of this season's conference semifinals due to a red card, Dempsey made up for lost time Thursday night. 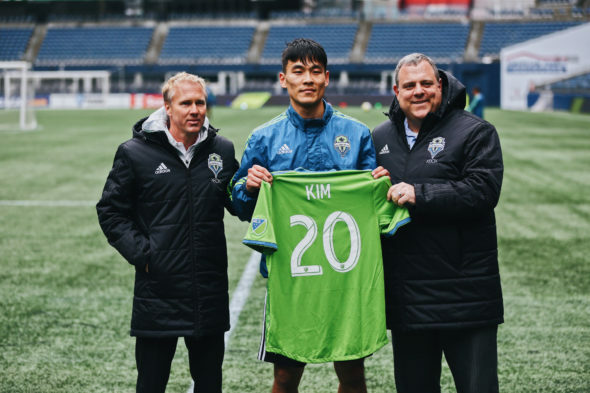 The 34-year-old scored two second-half goals to propel the Sounders past the Vancouver Whitecaps and into the Western Conference finals for a second consecutive year. VANCOUVER, B.C. 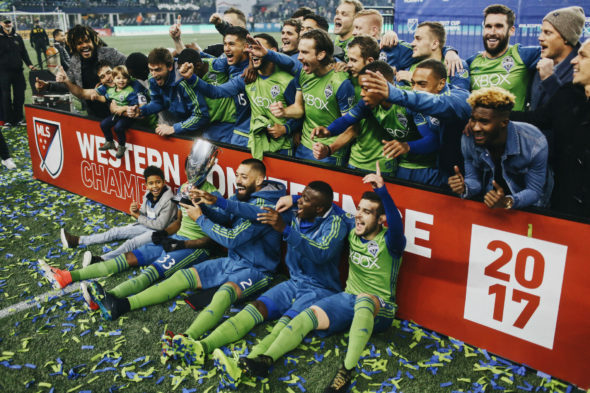 – Fulfilling the stereotype of MLS playoff form, the first leg of the MLS Western Conference semifinals features atypical casts and a lack of resolution. 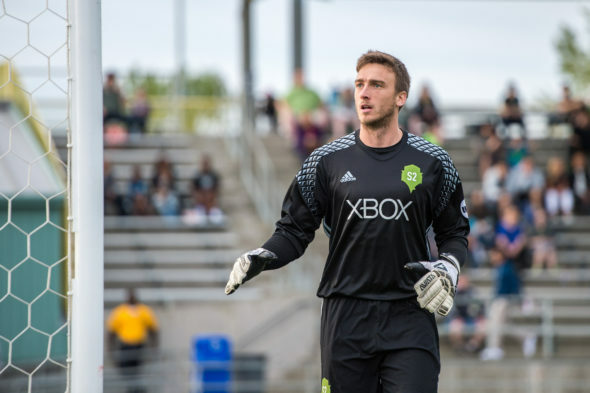 The Seattle Sounders and Vancouver Whitecaps settled for a scoreless draw in the opening act of the two-part series. 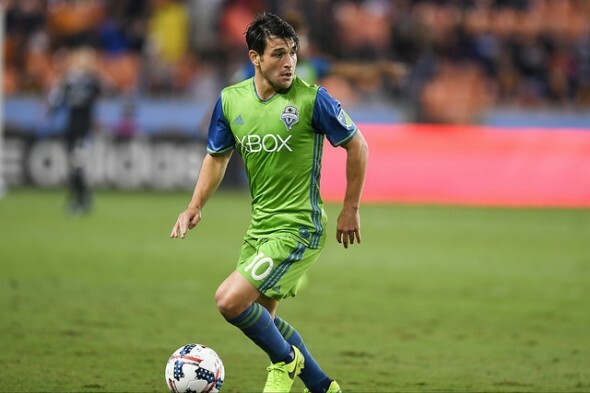 The Seattle Sounders were spared a long trip for the Western Conference semifinals, thanks to a 5-0 thrashing of the San Jose Earthquakes by the Vancouver Whitecaps Wednesday night in the knockout round. 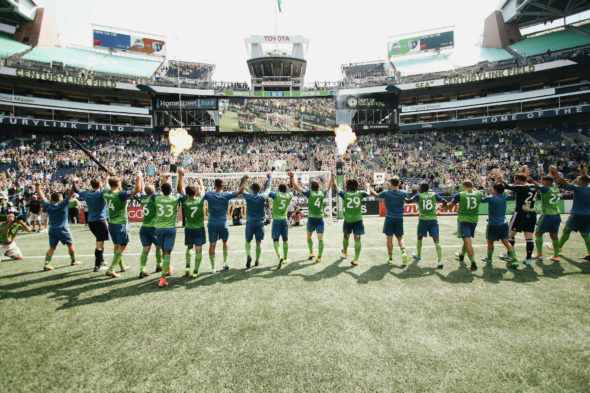 The Sounders will play at BC Place Sunday (5:30 p.m., ESPN) before returning home for the second leg in Seattle Nov. 2. With two regular-season matches remaining, nine points separate first place from eighth in the MLS Western Conference. 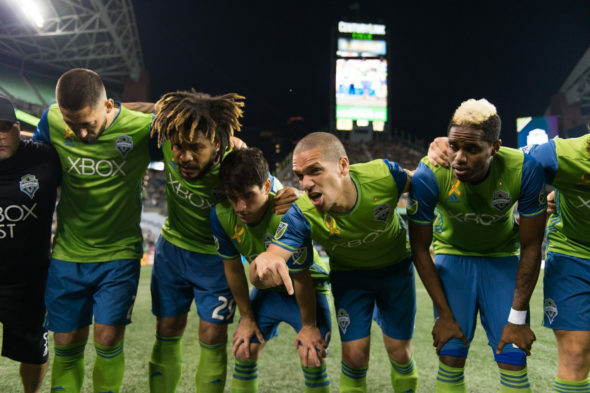 The fourth-place Seattle Sounders (12-9-11, 47 points), can guarantee themselves a spot in the postseason with a win at home against FC Dallas Sunday (4:30 p.m., FS1), but could still finish anywhere from the west’s top spot to below the cutoff line. 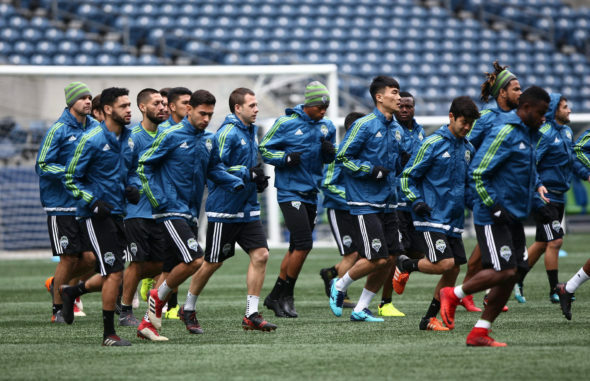 So dire were the circumstances of the Seattle Sounders’ lineup in Chester, PA., Sunday afternoon that Cristian Roldan, with a broken arm, was pressed into service as an attacking midfielder. 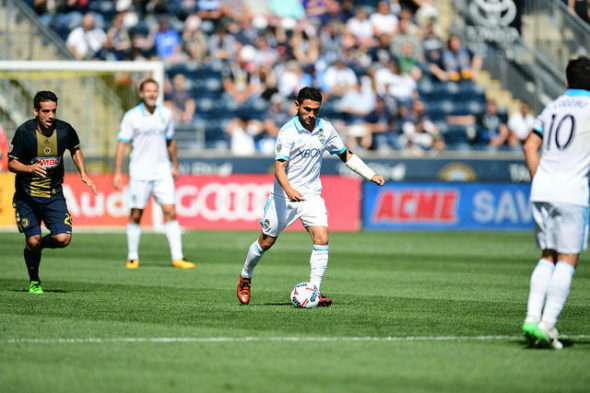 Forced to make four changes to a roster that Wednesday bullied the Vancouver Whitecaps, the Sounders lost 2-0 to a Philadelphia Union team dwelling in the Eastern Conference basement. 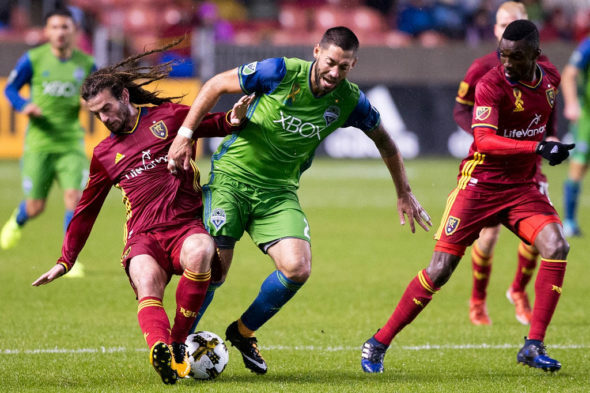 After 13 matches without a loss, the Seattle Sounders finally felt the sting of defeat in a road loss to Real Salt Lake Saturday night. 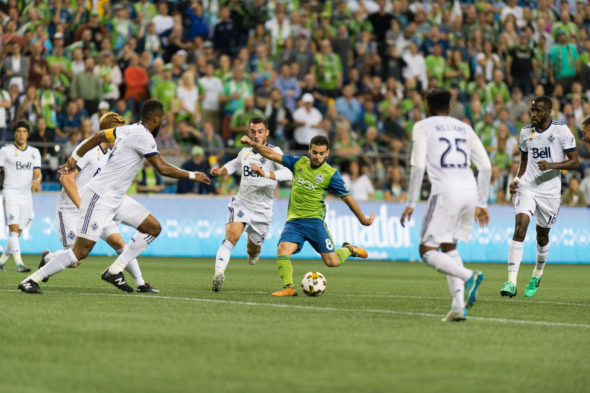 The 2-0 downfall highlighted Seattle’s deficiencies on both sides of the ball as the Utah club undressed the Sounders twice on counterattacks.